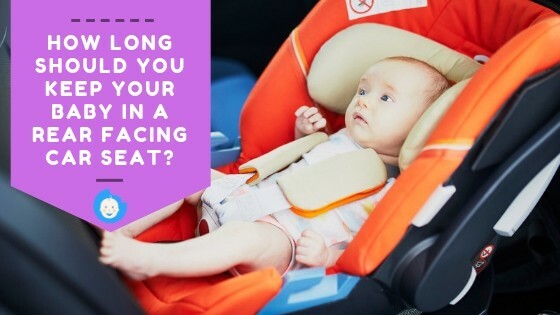 With so many car seat options and regulations constantly changing over the years, you may be asking exactly how long should you keep your baby in a rear facing car seat? You want to keep your little one safe in the car so you want to keep up with the latest recommendations for car seats. And we are here to help. We will talk about what the recommendations are, why the rear facing position is so important, what to do if your little one seems too big to remain rear facing, how to install the car seat correctly, and the types of rear facing car seats to consider. Until recently (2017), the American Academy of Pediatrics (AAP) recommended that children remain rear facing until at least the age of two. This was based partly on a study that showed there were lower risks of injury with children ages 1 to 2 if they remained rear facing. However, questions began to arise about the original study. They have since changed their recommendations to remove the age milestone. Children grow at different rates, so simply going by age is not an indication of where the child is in regards to physical development. Instead, it is recommended that you go by car seat manufacturer weight and height limits, keeping your child rear facing until they have outgrown these limitations. 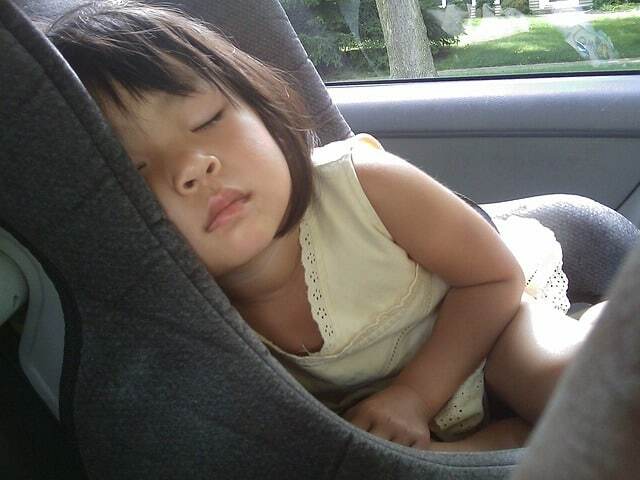 Most rear facing seats allow a child to remain in this position until they are around 40 pounds. Why is Rear Facing Important? Changing to a forward facing position too soon can be very dangerous for little ones. Their neck muscles are immature and cannot withstand the crash forces of a head on collision. Keeping them rear facing is much safer. A rear facing seat spreads the crash forces more evenly across the back of the seat and your child’s body. Rear facing also keeps their head more stable as crash forces don’t force their head forward. According to Consumer Reports, children under 2 years are about 75 percent less likely to die or experience serious injuries in the event of a crash if they are sitting rear facing rather than forward facing. With these numbers, it’s not worth risking your child’s life just for the convenience of a forward facing seat. What if Your Baby Seems Too Big? Sometimes children can voice their opinion regarding their desire to sit forward facing. They may say they are uncomfortable or may simply want a better view of you and their surroundings. You may also think that your child looks too big for a rear facing seat. It may seem like their feet don’t fit right anymore with the back of the car’s bench seat in the way. You may even be concerned for their safety if their legs seem too long. There really isn’t anything to worry about, though. In fact, most safety experts agreethat it’s perfectly safe for your little one’s legs to touch the seat when riding rear facing. Babies and toddlers are much better at contorting themselves into positions that seem uncomfortable to use adults, but they are perfectly fine when they prop their feet up on the seat or allow their legs to hand over the sides of their car seat. Parents are also often worried that their child’s legs will be broken in the event of a crash if they are against the seat during an accident. The fact remains that there is far more damage that will be done to their head, neck, and spine during an accident if they are placed in a front facing seat too soon. If crash forces are strong enough to break their legs (which isn’t likely), it is a far lesser trade off for the damage that would be done facing the other way. 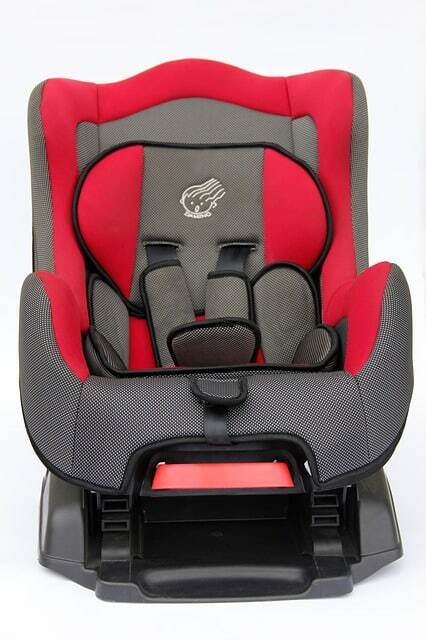 Not only is the direction the seat is facing very important, you also need to pay close attention to installation and harness adjustmentto ensure your child’s safety in the car. If it is installed incorrectly or if you don’t adjust the harness just right, the car seat and/or your child could be launched from the vehicle in the event of a collision. The best way to install a car seat is by the LATCH (lower anchoring) system. You will need to check your car’s compatibility and read your car seat’s instruction manual to familiarize yourself with the correct way to install it. Be sure you pull all the straps tight so that the car seat does not rock or move. If you choose to use the seat belt, make sure it is a locking seat belt. 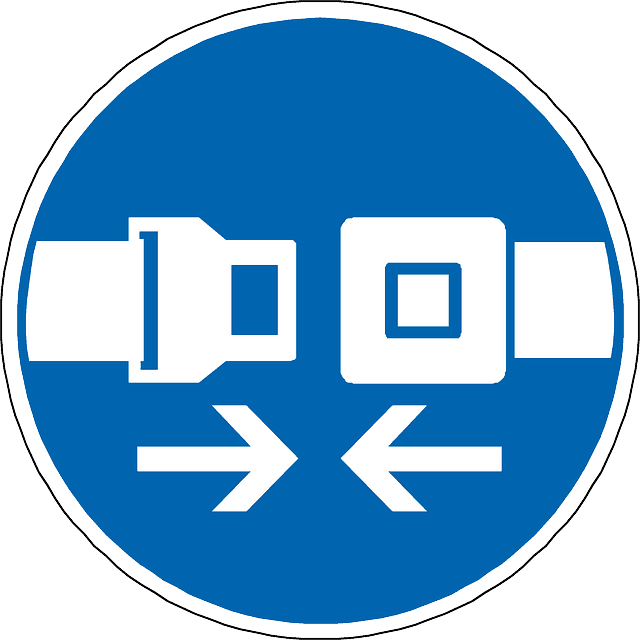 Pull the belt part out all the way after fastening the buckle to allow the seat belt to lock the car seat tightly in place. After it is fastening, you need to wiggle it a bit to make sure it is in place and tight so that it doesn’t move while you are driving. You should also adjust the recline angle as infants need to be slightly reclined to keep their airway open. Most car seats have a level indicator on the side to help you adjust it correctly. Finally, you need to fit your child correctly with the harness. Check the height of the straps; they should be inserted into the slots that are right below their shoulders. They should not be twisted or kinked so they fit snugly. Buckle the harness at the bottom and across the chest, pulling the strap to tighten it across your baby’s body. Slide the chest clip into place; it should be kept right at your child’s armpit level. There are three main types of rear facing car seats you can use with your child: infant carrier, convertible, and 3-in-1 car seats. They are all about equal when it comes to safety. However, your budget will likely be the determining factor when you are making a decision. There are also a few other things to look at and consider – especially when it comes to height and weight limits – that may affect your buying decisions. Infant carrier car seats can only be used in the rear facing position and children typically outgrow them pretty quickly. They typically only support up to about 22 to 35 pounds before your child is ready to transition to a convertible car seat (which we will go over next). They can be especially useful if parents plan to use the carrier with a travel system – a frame that converts the car seat into a stroller. It can also save you some heartache as there is no need to remove your child from their car seat if they fall asleep while you are driving. Budget conscious parents may want to consider a convertible car seat from the very beginning – as long as it supports the size and weight of a newborn. These can be used both rear and front facing, which means they will last a lot longer than an infant car seat with carrier. They are very easy to install both rear and front facing. Most do come with infant inserts that support a newborn’s head and the angle can be adjusted to keep their airway open. They also have higher weight (40 to 50 pounds) and height limits than infant car seats do. The downside? First, they are a bit bulkier and heavier than infant car seats and don’t come with handles or bases that can stay in the car for easy installation. You also need to pay close attention to the manufacturer details as not ALL convertible car seats are suitable for infants, which still means you will need to purchase at least two car seats in the long run. If you are looking for the most bang for your buck, a 3-in-1 seat may be right for you. They are similar to convertible car seats but they have an extra function: they also convert into a belt positioning booster seat as your child grows, meaning these last the longest of the three types. They install similarly to a convertible car seat, which means they can be installed both rear and front facing very easily. The rear facing weight and height limits are similar to those of a convertible car seat, but the front facing weight limit is higher since it can also be used as a booster seat. The cons of this type of car seat are pretty much the same as those of a convertible car seat. They are even bigger and bulkier than most convertible car seats, which makes it difficult to switch it out between two cars. Some also do not support the size or weight of a newborn, which means you will still need to start with an additional car seat. Initially, 3-in-1 car seats are usually very expensive; this can be a bit difficult for the budget conscious parent. However, over time these are the cheapest since you can use them for the first several years of your child’s life if you choose the right model. Rear facing car seats are essential for babies through at least the first two years of life. No matter how tempting it may be to switch them to a forward facing position – whether it is for your convenience or at their request – it is not risking their safety or even their life. What do you think about the regulations for rear facing car seats? Share your thoughts with us. You may be asking exactly how long should you keep your baby in a rear-facing car seat? Read on to find out the best practice of rear-facing car seat.